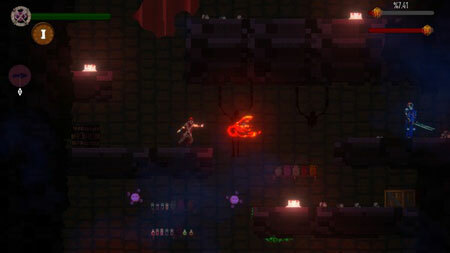 Rift Keeper is a hand-crafted roguelite platformer developed by Frymore, with challenging, fast-paced action gameplay. Embark on your journey, travel through rifts and restore the balance as the Rift Keeper. Travel through 30 different dungeons. Grow powerful as enemies keep getting harder. Loot epic gear as you progress through the dungeons. Find new weapons and accessories to grow your power. The game features 30 handcrafted dungeons with various enemies to fight with. If you get stuck in the game, check out the video walkthrough and gameplay for the game. This entry was posted in PC and tagged Rift Keeper Cheats, Rift Keeper Gameplay, Rift Keeper Guide, Rift Keeper Strategy, Rift Keeper Walkthrough by Marvin Tang. Bookmark the permalink.